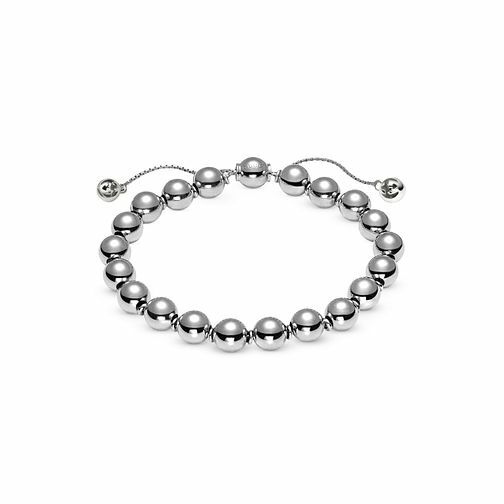 Exuding understated elegance, this easy-to-wear sterling silver bead bracelet by Gucci is a charming piece which can be worn alone or stacked. A sleek, sliding mechanism is used to close the bracelet, which is embellished with a boule clasp and two spherical charms. Gucci Boule sterling silver bead bracelet is rated 3.0 out of 5 by 1.